To make our mark on the world, we take a multi-disciplinary approach to solving problems. 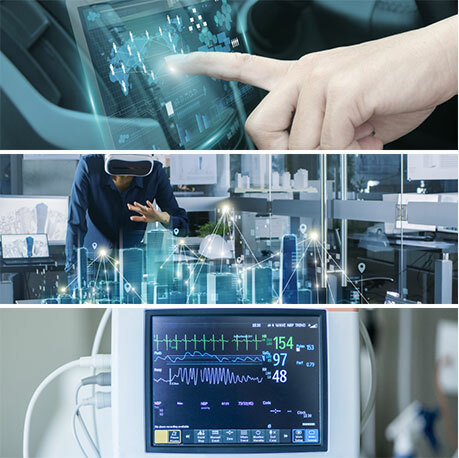 With backgrounds in software, electrical, and mechanics, as well as material science, our R&D team’s specialize in usability and multimodal user interface design, actuator design, sensors, integration, material science, real-time simulation algorithms, control, and software development. Their discoveries drive breakthrough products experiences and make new things possible in all areas of haptic development. The sense of touch plays a fundamental role in our lives. The question is, which new technological advancements can truly benefit from touch-enabling technology? We take the learnings and new technology from our labs to broader markets and audiences, continuing to innovate new embodiments and design frameworks for haptic feedback in high-growth and emerging markets. We strive to provide developers and designers with the inspiration, technology, and tools they need to implement high-quality tactile experiences on the latest generation of hardware. In hardware, we understand that each type of actuator has unique properties, which in turn creates a unique set of user experiences. We gladly work with component makers to ensure their devices provide the best haptic performance. In emerging markets, we understand how haptics and touch will play a key role. 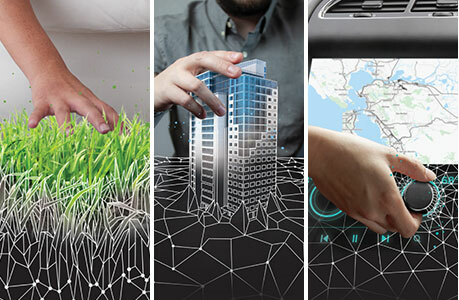 Touch makes augmented reality (AR) productive, intuitive, and user friendly. In VR, the sense of touch helps anchor the user into the VR environment and creates presence, enabling a fully immersive experience. Research shows the sense of touch enriches lives and digital experiences. From automotive to AR to medical, if there is human-computer interaction, there is a role for tactile feedback to enhance the experience. Our research program is a fundamental part of our decades-long history and exemplifies our deep understanding of, and commitment to, haptics.